Home accessories Brush Lab Mirror Review and Friday Giveaway! I'm back with another review and Friday Giveaway. If there's one thing I always need to have when doing makeup...I'd say a mirror! Sounds silly right? But a good mirror can really help you get precise makeup application. Today i'm reviewing a gorgeous one from www.BrushLove.com and giving one away to a lucky winner! Here's a shot of the mirror. 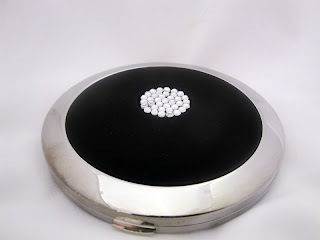 There are also other styles to choose from but I like this round shape. Did I mention it's absolutely huge? I was surprised because I thought it would the size of a typical powder compact but it's about 2 inches wider and longer. One side is a regular mirror and the other has a magnifying glass. I usually find myself using the regular side to apply makeup. I'll use the magnifying side for something like tweezing eyebrows. 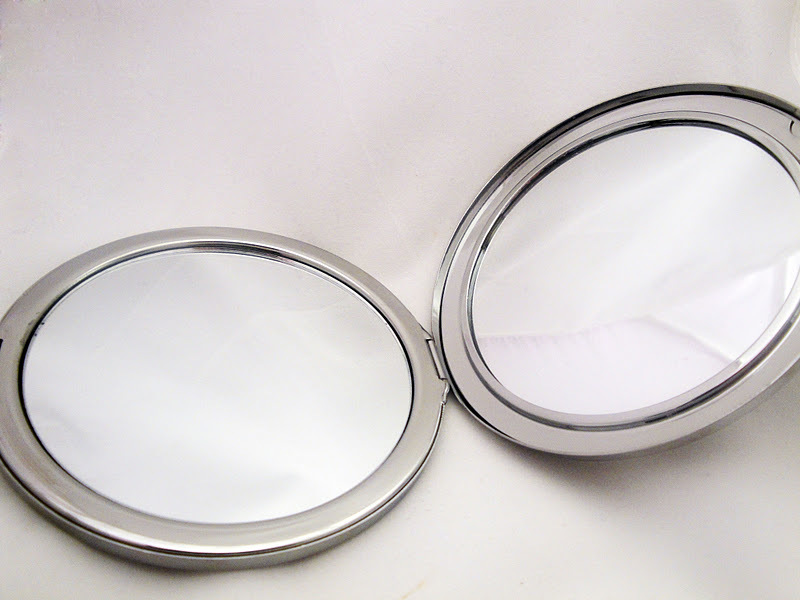 I find this mirror really helpful for personal makeup application so I can really see what i'm doing. I'll pick a winner randomly and announce it next week. Have a great weekend! FTC Disclosure: Product sponsored for review. I am not affiliated with this company and not paid to make this review. These are my honest thoughts and opinions. I good mirror is always important to have. so pretty!! enter me please. thanks! Pretty mirror! They also have some very cute styles on the website. The size of the mirror is no prob...I carry around huge purses anyway! 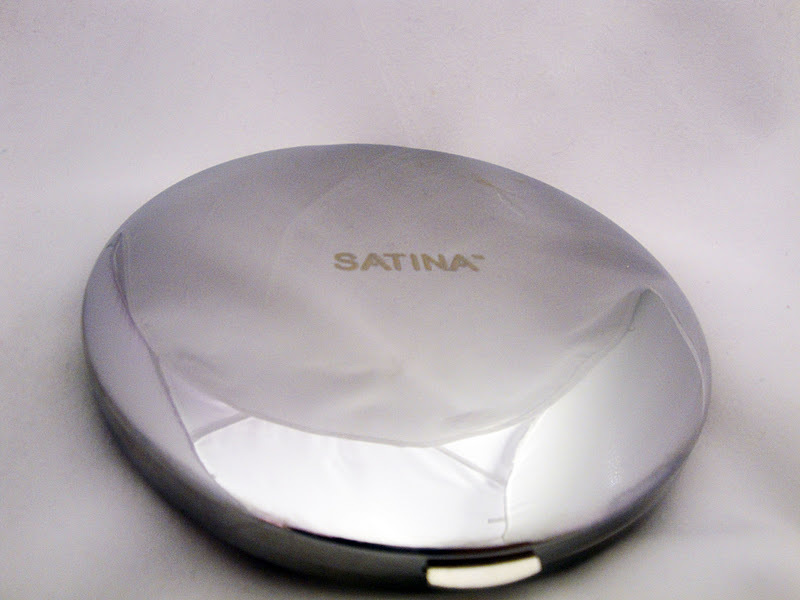 I've been looking for a decent mirror in a compact like container. My usual mirror is from a sugarpill palette but it's smeared with color. :( I've resorted to using a square of mirror that was supposed to go on my wall, but it's too heavy and my bathroom has no counter space for my make-up! This would be perfect for me. Nice! :) would love to have that! I'm in need of another compact mirror..
Lovin' the bling! Thanks Ren! omg thank you so much for this giveaway!!! What a nyce mirror,,,... the better to set my mug in My Dear!! never say no to look at more mirrors! i'm def a follower! great giveaway, thanks for the opportunity!